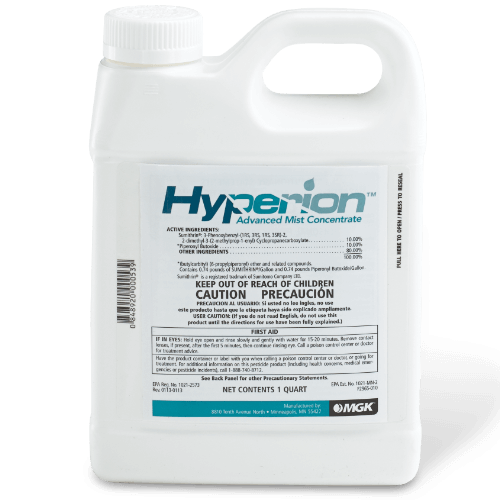 Help your customers kill mosquitoes and other flying pests with Hyperion Advanced Mist Concentrate so that they can embrace outdoor living. Reference the product label for the full list of pests killed or controlled. Flies	Reference product label for specific species. What package sizes are available for Hyperion?